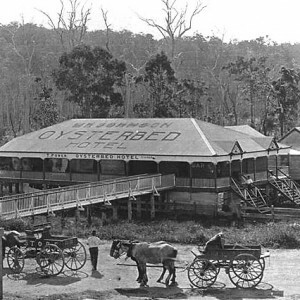 It’s thought that a number of modern roads in the Hinterland evolved from early timber tracks. 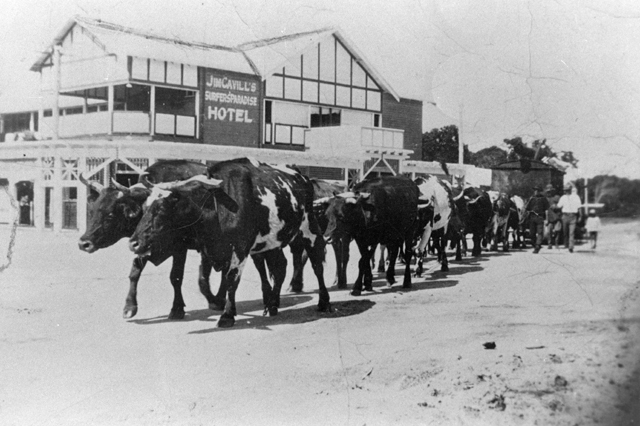 Bullock teams, and large heavy horse teams, were an integral part of the Gold Coast’s early timber industry transporting felled logs from the Hinterland to meet the almost insatiable need for timber for the growing settlements of the region. 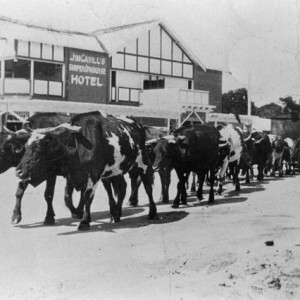 As late as 1930 there were 24 bullock teams on the roads of the Gold Coast Hinterland, transporting logs from the slopes of the McPhersons through Advancetown to Nerang wharf or, after the arrival of trains in 1903, the railway station. 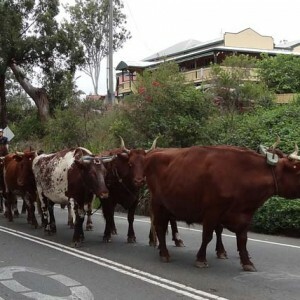 Advancetown was a half way unyoking place, where drivers and bullocks rested, ate and drank. It’s thought that a number of modern roads in the Hinterland evolved from these early timber getter tracks. 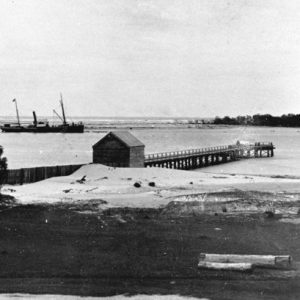 A visitor to the region in 1884 noted that timber wagons could be seen at every turn. 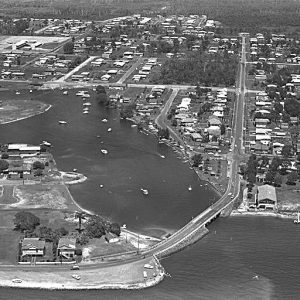 On 16 January 1934, Hughie and Johnnie Guinea, with their bullocks, hauled the last load of logs from Advancetown to Nerang signalling the end of an era. 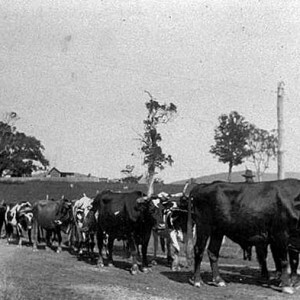 The role of the huge bullocks had been replaced by large trucks. 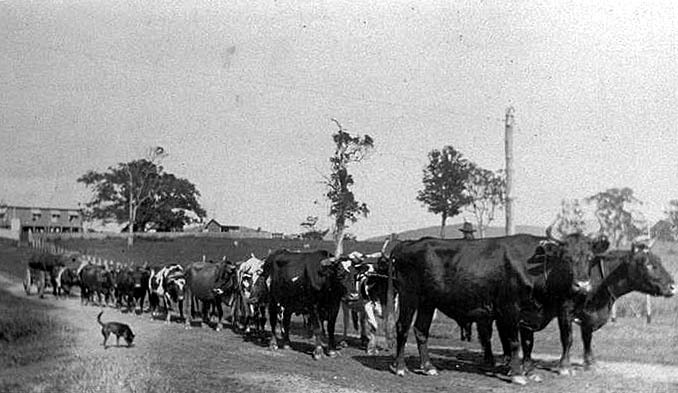 While trucks were preferred, they were not able to access the dense scrub and difficult to reach places, but the bullocks and their bullockies could. 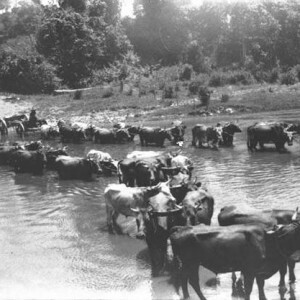 However, despite their strength and ability to move through the landscape, the bullocks required food and water that was not always accessible on the logging grounds. 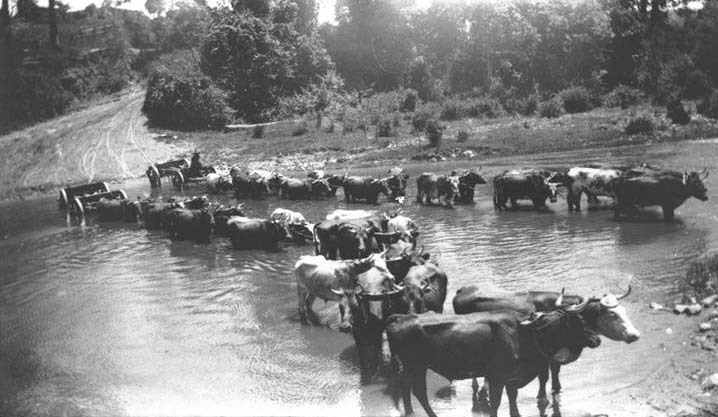 On occasion the rough terrain prevented the bullock teams from reaching the felled timber and it was left behind. 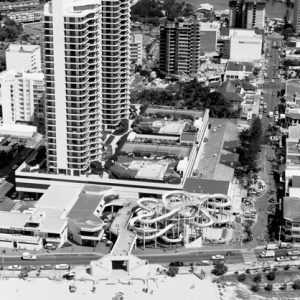 Many people are surprised to learn that there are still bullockies and working teams across Australia, including one in the Gold Coast Hinterland. 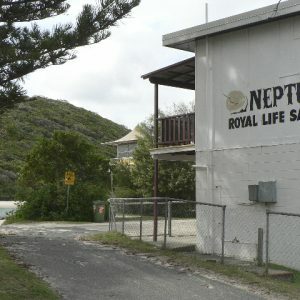 Albert Shire Suburb History. 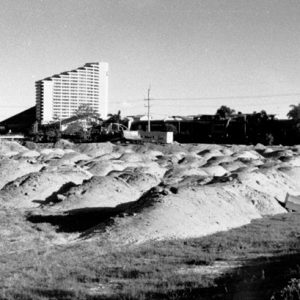 Manuscript held at the City of Gold Coast Local Studies Library. Burrows, Robyn Lee. 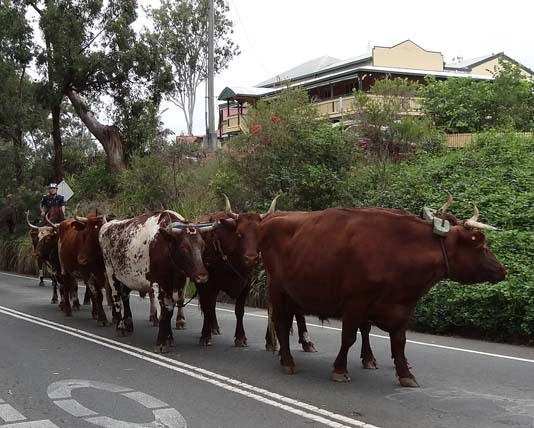 From paddocks to pavements : the Mudgeeraba story. Mudgeeraba: Robyn Lee Burrows, 2012.